worker only described (Bolton, 1975a) . Emery's (1892a) description is at . 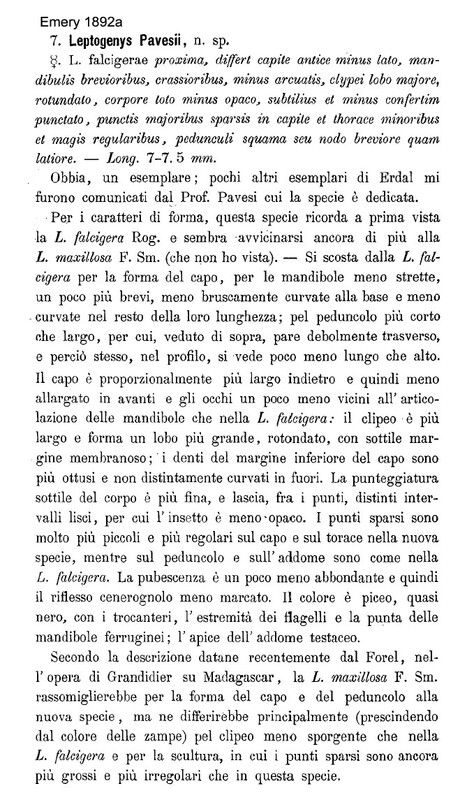 Weber's (1942a) brief description of sericeus is at . Bolton's modern description (1975a) is at . 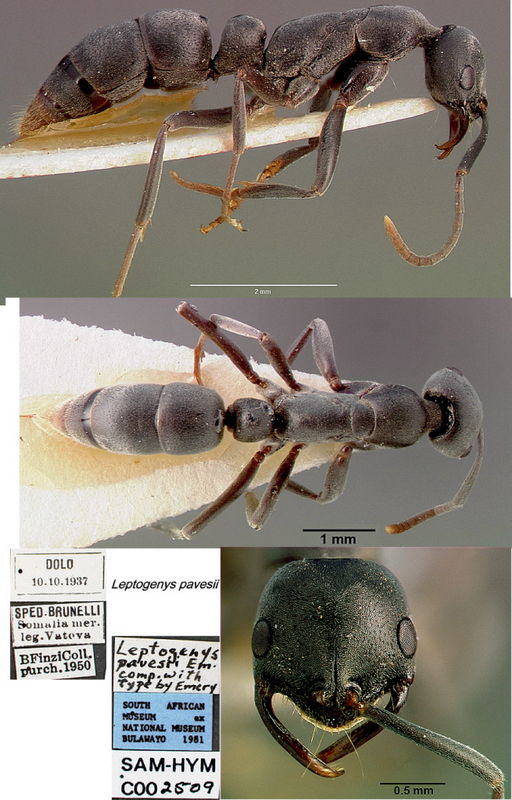 WORKER - medium sized, TL 6.8-7.6 mm; elongate linear curved mandibles which do not close against the clypeus; sculpture all over of dense shagreening; and dense, greyish pruinose pubescence (Bolton, 1975a: 255, illustrated, anterior head and left mandible). Regraded as a tramp species, known from Cameroun, collector G. Terron, no location (Bolton, 1975a). 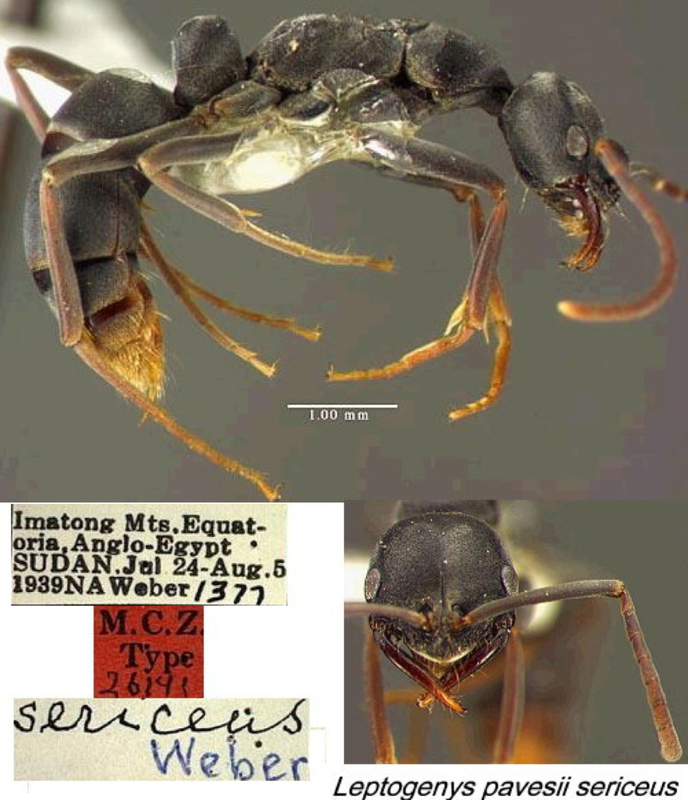 The photomontage of the type worker is collated from http://www.antweb.org/specimen.do?name=casent0903971. 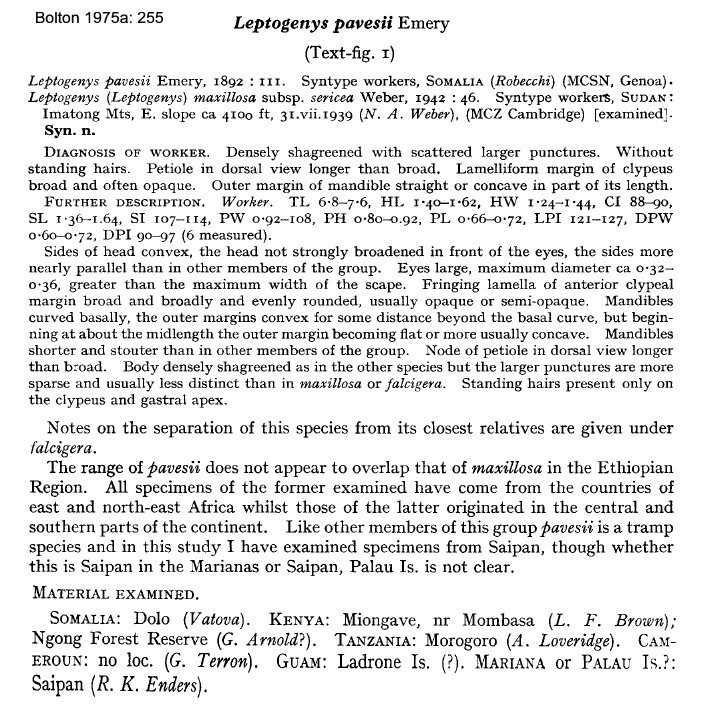 The photomontage is of a cotype of Leptogenys pavesii sericeus from South Sudan. The original photographs, together with enlarged images, are from the MCZ, Harvard University, website at - MCZ link. The photomontage is of a worker from Senegal, Bransan; collector B Ndiaye. An exact match for the type worker (above). 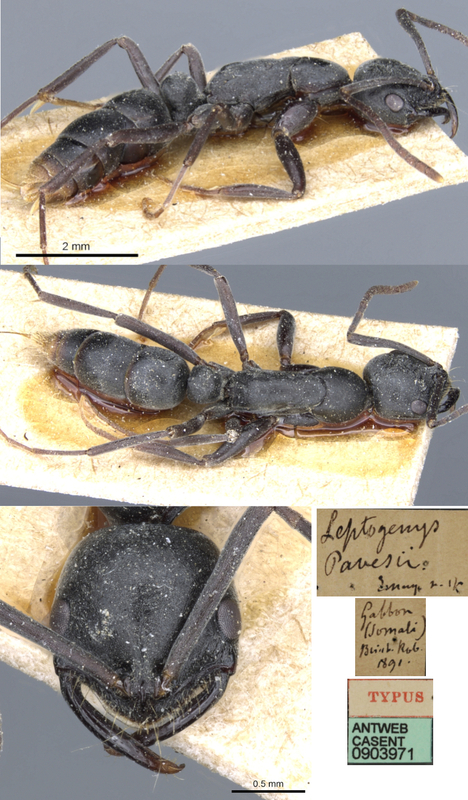 The photomontage is of a worker from Somalia, collected from http://www.antweb.org/specimen.do?name=sam-hym-c002509..